With over 15 years in Information Technology experience, Aaron has consulted in, architected, implemented and supported a wide array of technology driven companies to produce efficient and customer success driven solutions. His strengths, and a large focus of his career, has been in evaluating and improving critical business processes using industry standard and inventive solutioning alike. 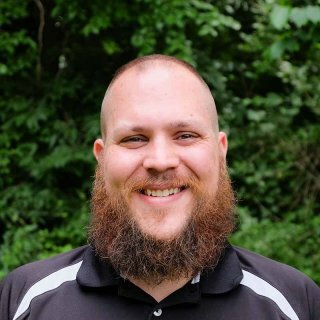 Aaron has successfully deployed major organization initiatives spanning Onboarding & Implementations, ITIL adoption, Agile adoption, software development optimizations, and especially creating customer success centric processes to feed continual service improvement. Aaron holds many certifications including ITILv3, Vormetric, and Zerto. My wife and children’s laughter, the smell of spring, the sound of a creek or river, playing the Mandolin/Fiddle, blacksmithing/knife making, God’s grace. Lack of accountability, self-entitlement, crumbs in the bed sheets, itchy eyes, well-done steaks. Mountains of Pennsylvania, rivers of Montana, valleys of Wyoming, Hill Country of Texas, and wherever my family is. My beautiful wife Elizabeth and I have 4 children, ages 20, 18, 13 and 3. Our youngest has a congenital heart defect called HLHS, which reminds us always of the gift we’re granted by having tomorrow.